In 2018 CITB changed the way it supports training across the construction industry, part of this was the introduction of Approved Training Organisations (ATO). To become an ATO training providers must successfully complete the application process and be able to demonstrate that they deliver training to a defined industry training standard. 3B Training is a CITB Approved Training Organisation. Why is it important to book training with a CITB Approved Training Organisation? CITB has determined which courses are eligible for grants, if you’re an employer in the construction industry you’ll want to be able to claim grants when your employees attend these courses. In order to be able to do this, you need to book your training with an ATO as in future you will not be able to claim for eligible courses delivered by companies who are not ATOs. Approved Training Organisations are required to upload delegate achievements to the Construction Training Register within 10 days of successful completion of an eligible training course. This upload then triggers your grant payment. In order to collect the information required to upload the achievements, 3B Training requires the following delegate information, name, address, DOB, email address, NI number and levy number. This can either be recorded at the time of booking or by completing the paperwork at the start of the course. 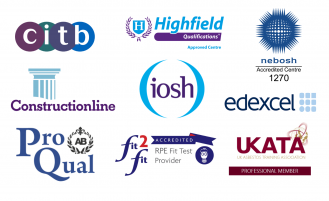 Unfortunately, ATO’s are not currently able to do this for all courses that are grant eligible, for example, 3B Training can’t upload achievements for IOSH Managing Safely, NEBOSH Construction or NVQs, however, these courses are grant claimable. In these instances, employers need to complete a claim themselves. On our website we’ve identified which courses we will upload achievements for and which you will need to claim yourself. In future ATO’s will be able to upload achievements for all eligible courses and employers will no longer be able to claim grants retrospectively, this date isn’t set in stone yet but you can be confident when using 3B Training that you will get the most out of your CITB Levy. What is the Construction Training Register (CTR)? The Construction Training Register is an online database of workers/delegates that employers can access to check their achievements. This is where training providers upload achievements following course completion, which means you can see which training your workers (or potential workers) have completed. If you’re already signed up to use CITB’s online services you can request access to the CTR if you’re not already signed up to online services you would need to do that first. What is the Construction Training Directory (CTD)? The Construction Training Directory (CTD) is where customers can search for training courses that are scheduled to be delivered by Approved Training Organisations, you can also find their venue and contact details. Only Approved Training Organisations have access to advertise their training dates on here. If you want to talk about your grant claims in more detail please contact us. We are also ELCAS approved! Find out more about how your employees can use their ELCAS credits to pay for 3B Training courses here.